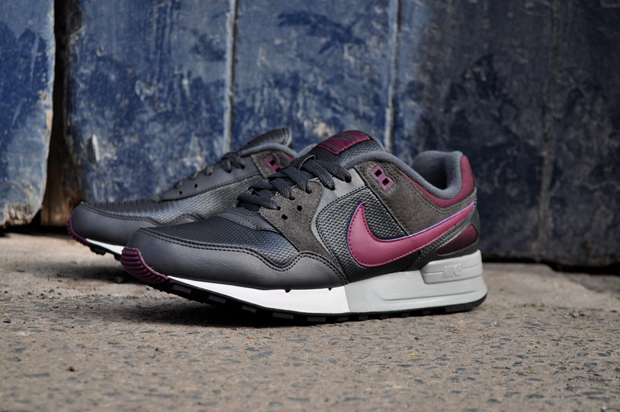 Nike have come correct with this recent colourway of the late 80’s classic runner, the Air Pegasus ’89. It’s hard to tell if the main make up of this shoe is an incredibly dark Blue or a dark Grey/Brown … guess we’ll have to settle for Slate. What is for sure is that it works, especially when partnered up with the Burgundy leather, Brown suede and Burgundy Mesh detailing. 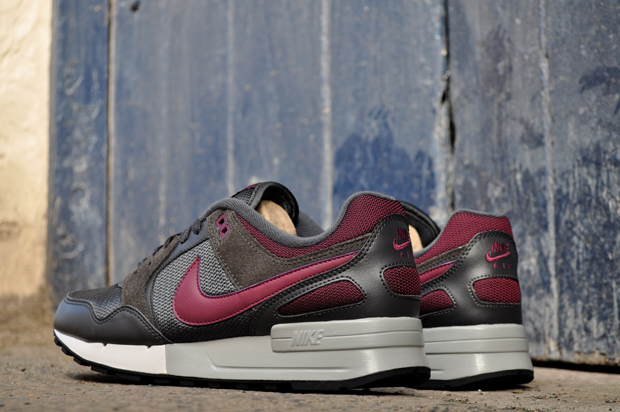 The two-tone outsole harks back to the OG colourway and suites the Pegasus ’89 perfectly. This colourway is deep and rich, coming in perfect timing for the bleak Autumn/Winter months. It’s nice to see the Pegasus ’89 in good materials and colours that suite the shape. It seems like since they re-issued the OG back in 2009 it’s only fair to say that the colourways have been more than poor. Let’s hope that this is the start of the Pegasus ’89 reclaiming it’s place as one of Nike’s best runners and a beautiful piece of footwear design. Available now from SoleHeaven for £59. Gettin ready for Autumn/winter drops….